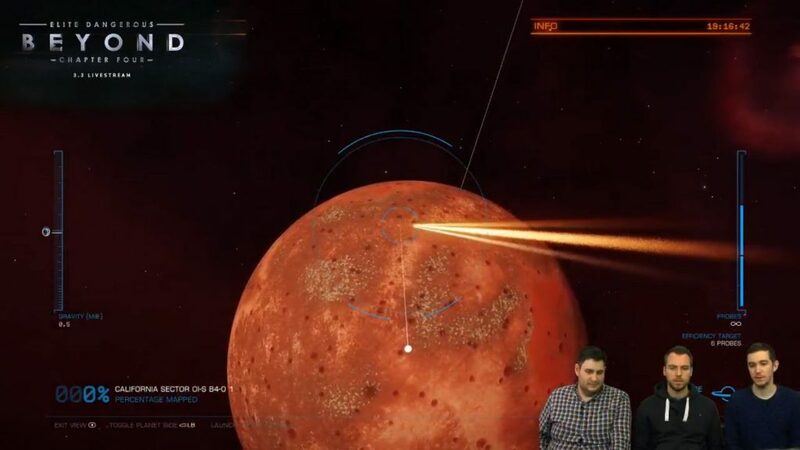 Hi everyone, this is a recap from the official forums, written by the Community team at Frontier. Huge props for creating such a great quality recap! 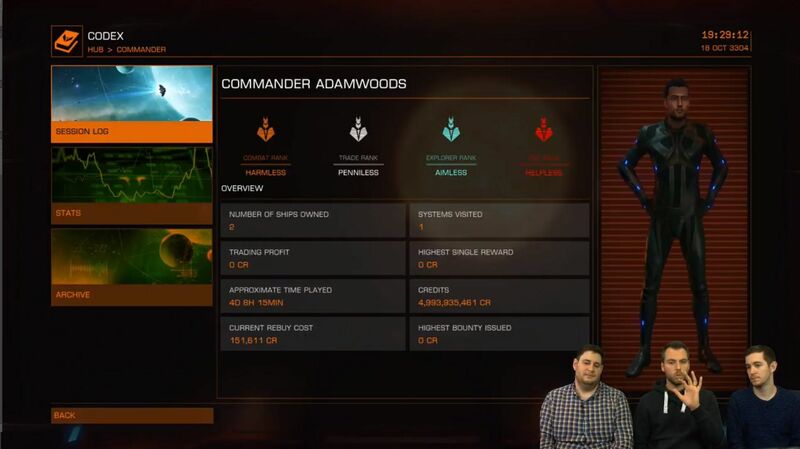 If you missed tonight’s content reveal livestream or just wanted a recap of all the content discussed, read the notes below from designer Adam Bourke-Waite and Executive Producer Adam Woods. Remember that all of these changes will be featured in the beta out in October and could be subject to change. Thanks to feedback from the exploration community, we’ve made an important change in how exploration data will be shared across all Commanders. Once any Commander has discovered and sold data about any stellar body, every single Commander’s ship computer will be updated no matter where you are in the galaxy, giving you the basic information for those bodies once you enter the system. 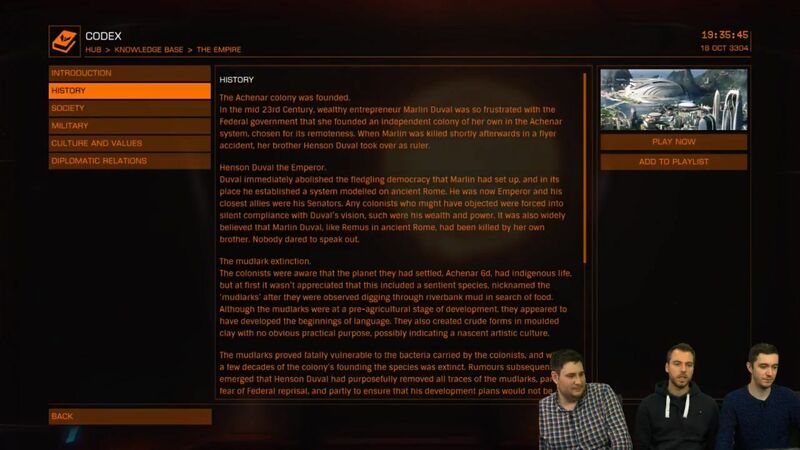 This information is similar to the data you currently receive from an initial system scan; many populated systems will provide more data including the name of the bodies. 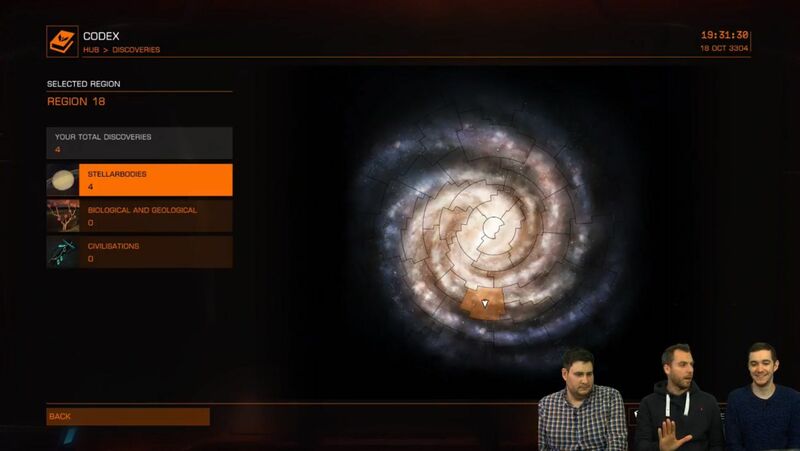 Opening up Analysis Mode will give you access to the new and improved tools that will allow you to fully explore a star system. The process is incredibly intuitive and engaging, and is best-described visually. 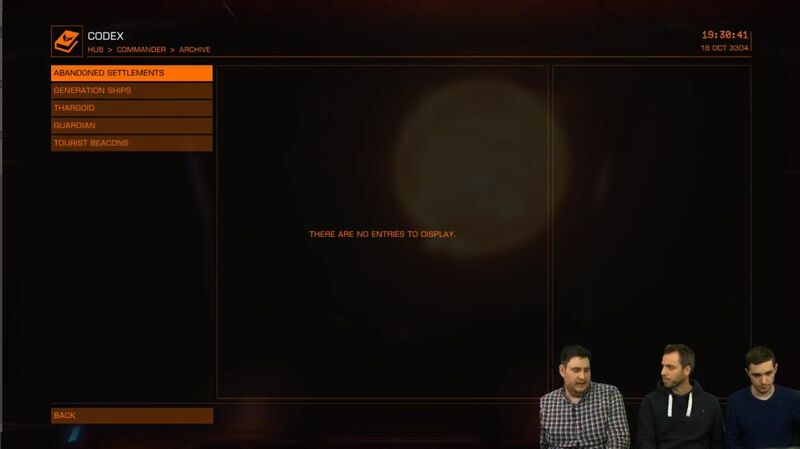 With that in mind, if you are able to, please watch the gameplay demonstration from the Exploration livestream. You can tune in to signals on the Filtered Signal Analysis bar. Tuning into the correct region of the bar is essential when locating the source of signal fields in the system. The further to the right of the bar you tune, the more intense the signals you are looking for. For example, larger objects such as Gas Giants have more intense signals, while smaller signals such as Unidentified Signal Sources are smaller. When tuning, the signal patterns will appear on-screen. These patterns also represent the kind of signals that can be found in this region of the Filtered Signal Analysis. As you move the reticule around the screen and get closer to a signal field, you will notice patterns appearing around the reticule. If you are not correctly tuned into a signal these waveforms with appear scattered and random. If you are very far from the correct tuning area, these waveforms will not appear at all. When tuned correctly, the pattern will match those found above the Filtered Signal Analysis, and will be symmetrical, pointing towards the origin of the signal. Once you get close enough to a signal, a circular marker will appear. If the marker appears as a dotted circle you are not tuned to the signal correctly. Once tuned, you can zoom in, this will locate the origin of the signal. In more congested systems, it will zoom in to a secondary level where you can continue to search for the signal. This process can occasionally require zooming in multiple times, your current zoom level is shown on the left hand of the screen. You can zoom out at any time. Once you find the origin of signal, you can zoom into it and be presented with additional information. As you find the signals, they are filtered out and a marker is added below the Filtered Signal Analysis. Different signals or body types have different markers. The system also tracks the percentage of stellar bodies that have been located in a system. 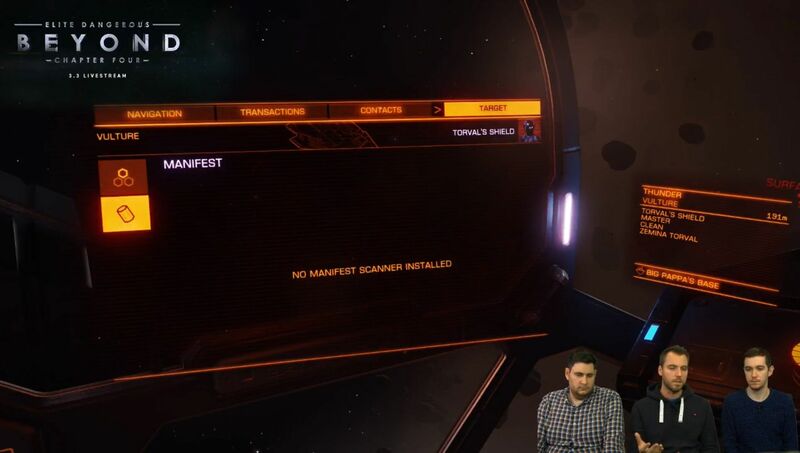 Note that the audio has been improved for exploration and in addition to being able to pre-analyze the signals and patterns, we will also be able to recognize the signals by their sounds. Frontier Developments has partnered with The British Antarctic Survey to capture great realistic sounds. We could do that in the system map previously, but it’s now directly in-sys with improved audio. Using the above tools will allow you to find everything in the system without having to fly towards it. 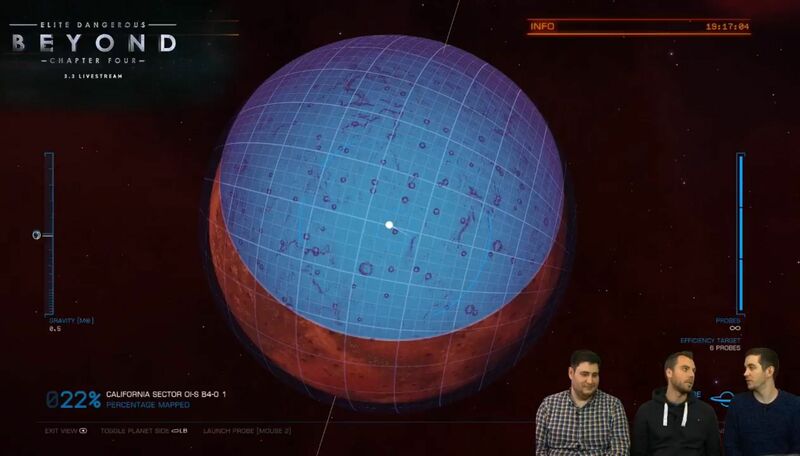 If you find something worth investigating, whether that’s an Earth-like world or a mineral rich planetary ring, you can fly towards it and use the Detailed Surface Scanner to map the planet (or ring) and get a satisfying ‘100% completion’ for mapping the body, as well as a bonus credit reward. 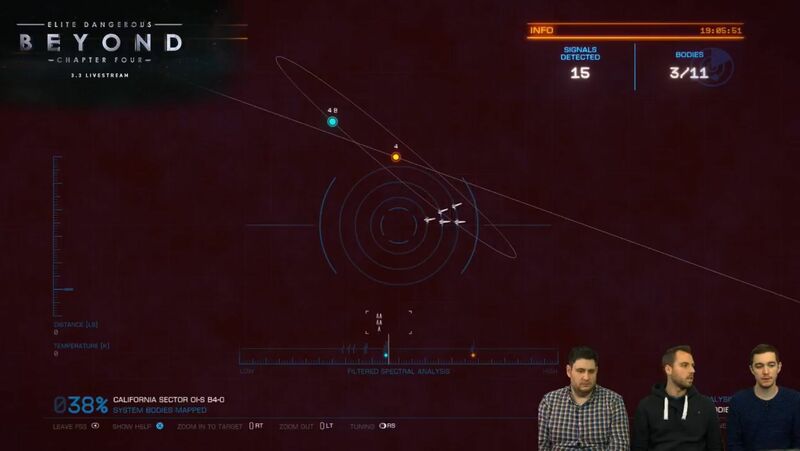 Commanders can fire probes that detonate in a low orbit around the stellar body. The gravity and mass of a body affects the trajectory of the probe, and the on-screen information will adapt to help you aim your shots. After receiving community feedback, these probes are unlimited and do not require synthesis to restock them. 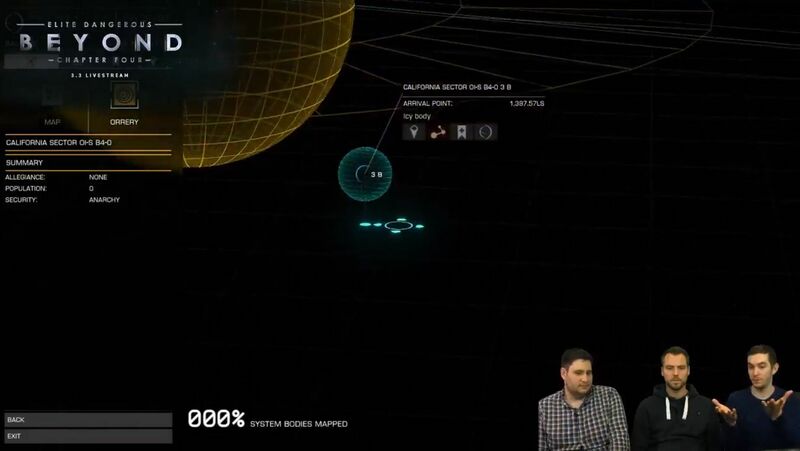 These probes send out a wave that maps part of the surface. 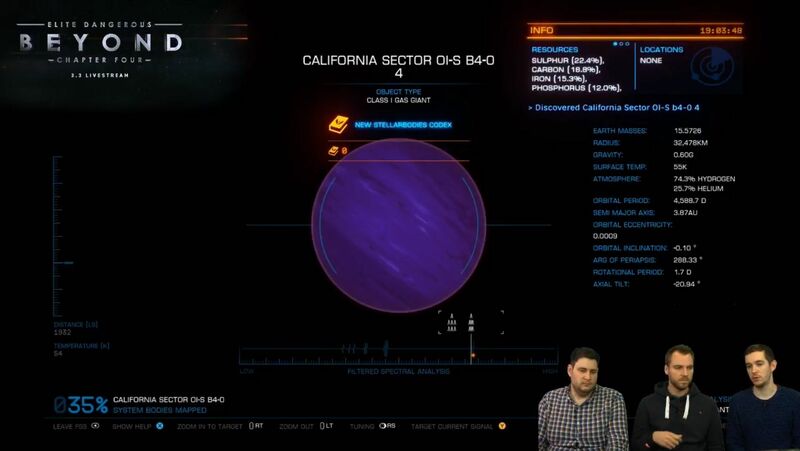 If you fire a probe in to a ring around a planet it will highlight areas of a greater chance of containing a mining motherlode. 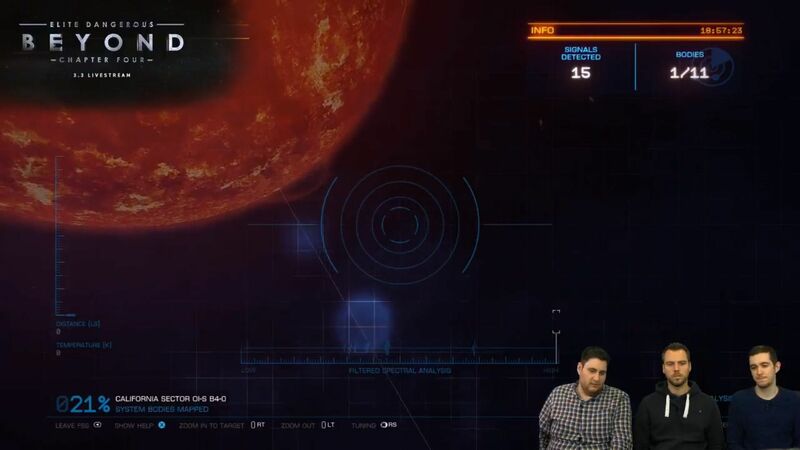 We will be covering that in a future livestream. To map an entire body, you will need to fire several probes at different locations on the body. A horizon point indicator will help you know if you’re going to hit the front or back of the body, with a button that lets you toggle your view and see if you’ve hit the desired location. Another indicator will also note if you are hitting a ring or miss the body entirely. 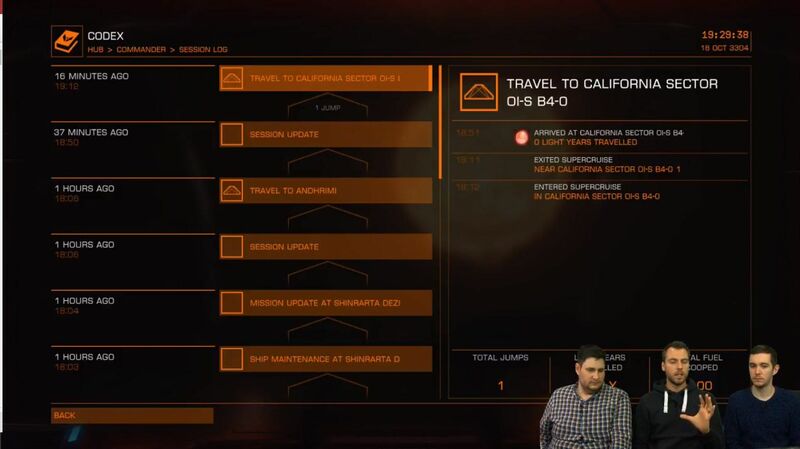 An efficiency bonus will be rewarded if you manage to map the body in a certain number of probes or less; that number appears clearly on-screen. Once 90% of the body is mapped, it is considered complete. 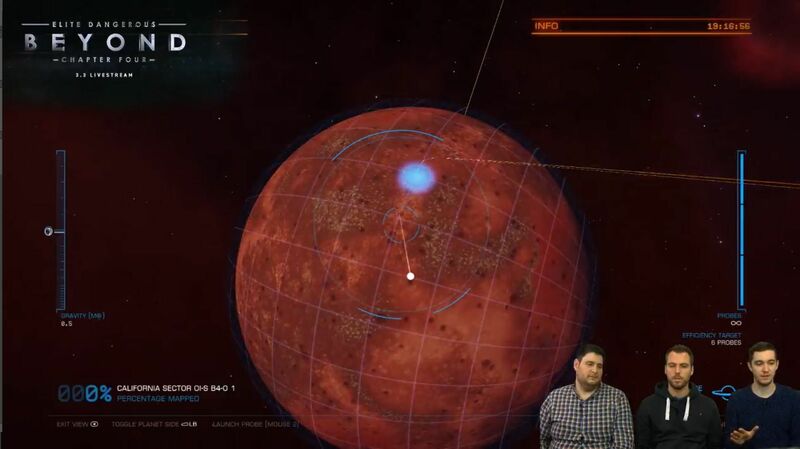 If you are the first person to map a planet and sell the data, you will get a first-mapped bonus. If you have mapped planet on which you’re able to land that contains points of interest such as Thargoid Imprints or Guardian Ruins, Settlements, or Wrecked Ships, they will appear as targetable markers. These markers are permanent and will remain on the planet for you, even if you leave the system and return. 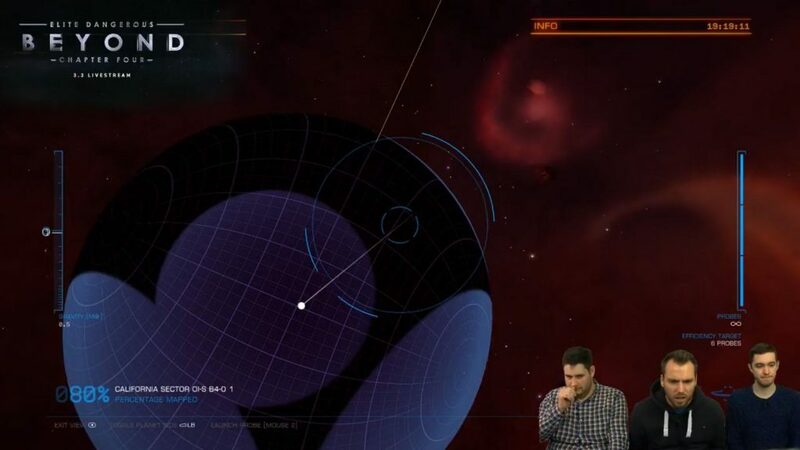 Points of Interest – When using the Full System Scanner you will be able to track signals that are not stellar bodies. These other signals will display the location of Unidentified Signal Sources, Conflict Zones, and more. These signals are shown as dotted circles in order to differentiate them from stellar bodies. 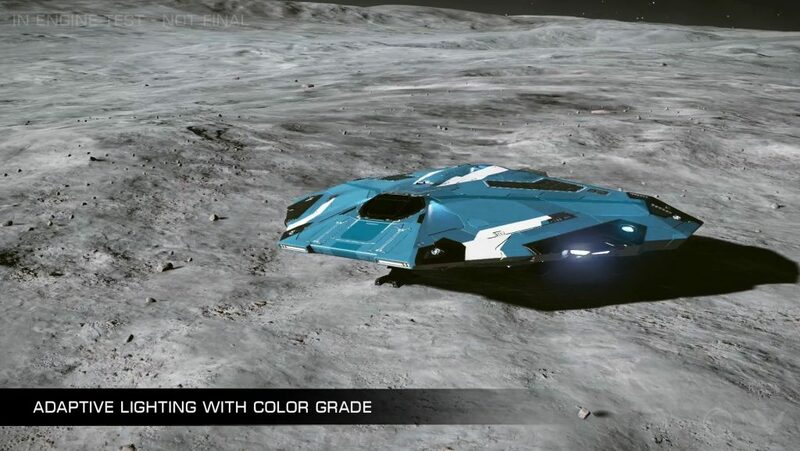 Once you zoom in on them (as detailed above), you will then be able to lock on to it in order to locate it in Supercruise. Mission – Missions will now have specially coloured pips and markers to help you differentiate them from other signals. Unidentified Signal Sources – In Beyond – Chapter Four Unidentified Signal Sources have also been updated. 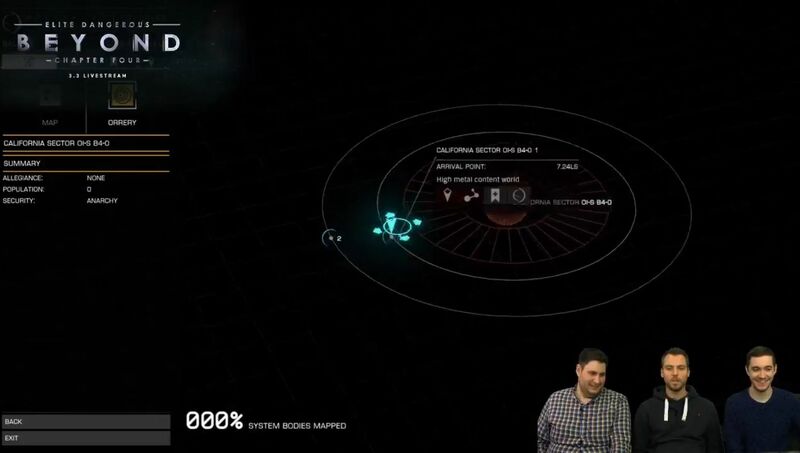 Rather than being a constantly spawning set of signals, the system now spawns an entire set of them when you arrive. 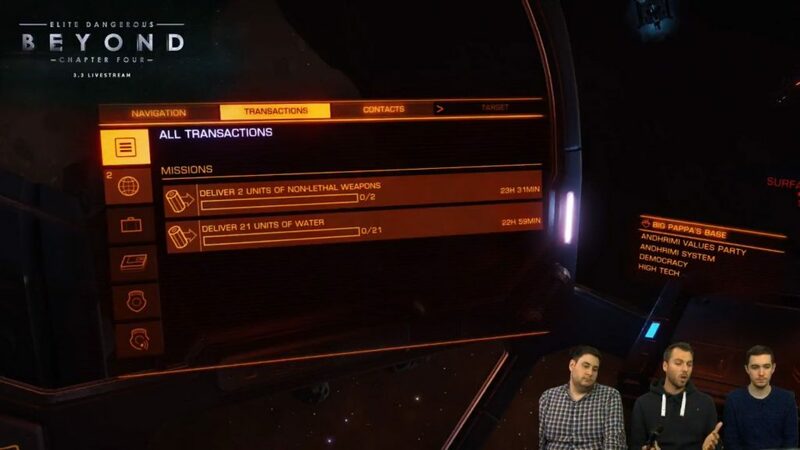 These will remain in the system for a certain amount of time and Commanders will have a timer that indicates how long it is before they disappear. These signals will also persist when you leave for another system and come back, as long as it is within the visible timeframe. 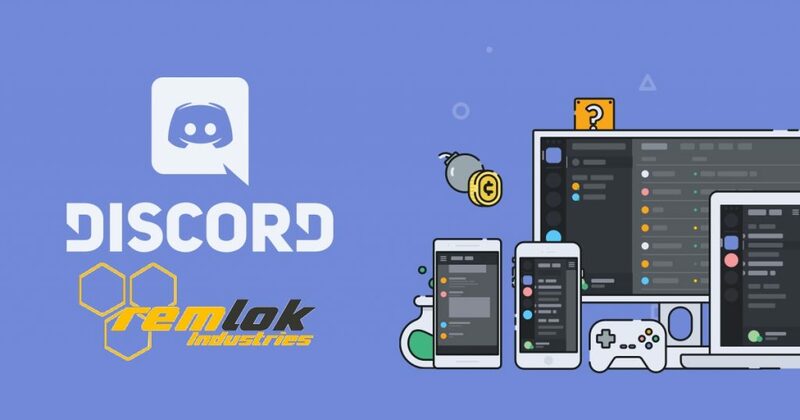 As mentioned earlier, these new tools are engaging and intuitive to use, and you will be able to earn the same amount of credits as you currently can, at a faster rate. 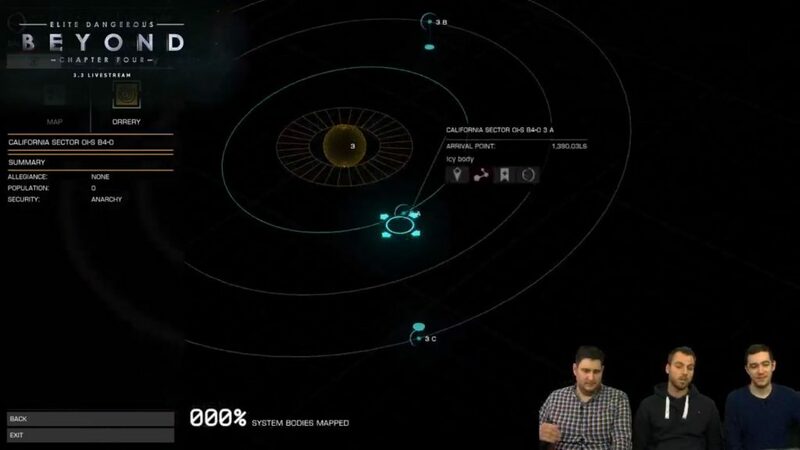 The first discovered bonus has been increased significantly, and First Mapped is a brand new way of making extra credits. If you are the first to discover a stellar body, or completely map a planet, your name will be listed as the person responsible for doing so. 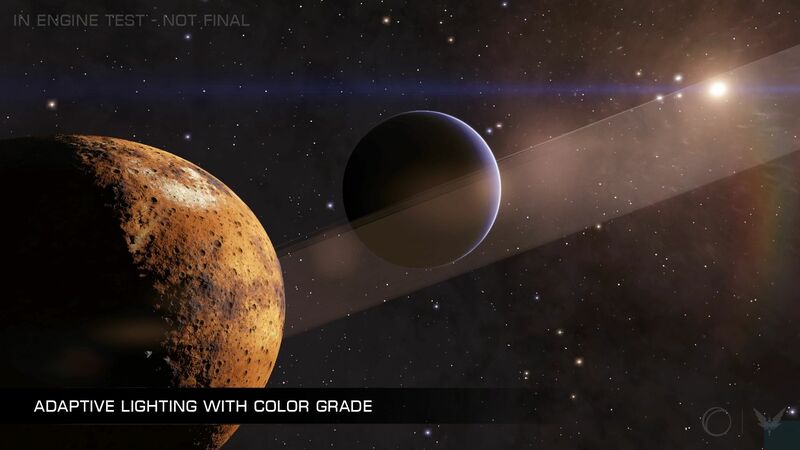 If you are the first to fully discover and map the system to 100%, you will receive an additional bonus of credits. 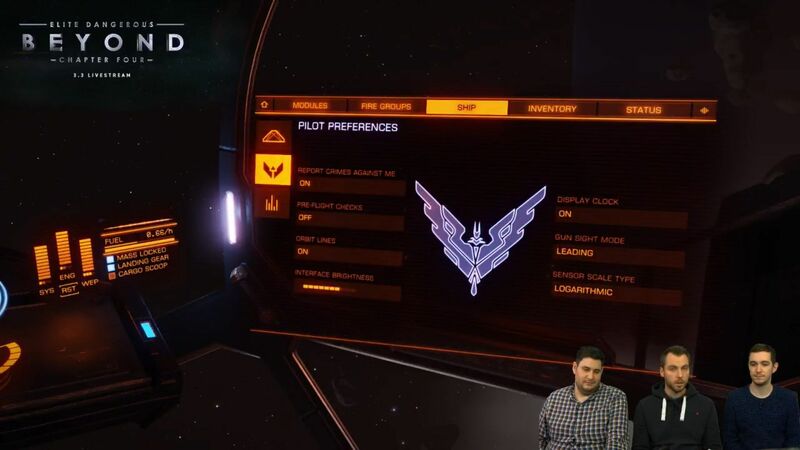 In Multi-crew, anyone in the crew will now have access to the Full System Scanner and the Detailed Surface Scanner (only the gunner is able to use this module). 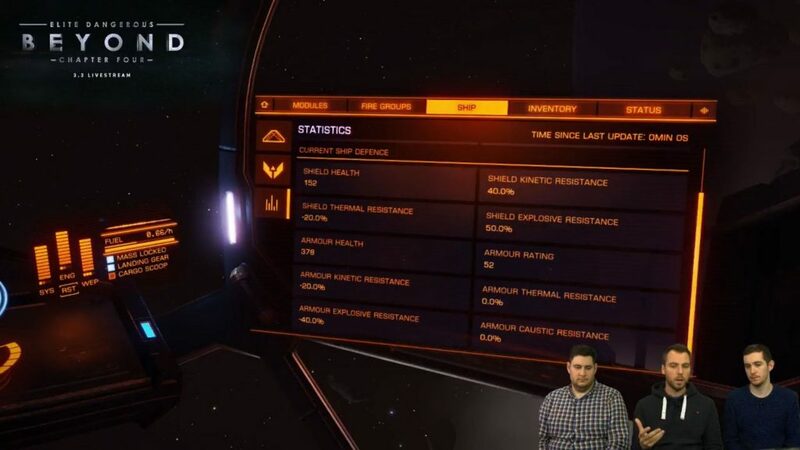 Whilst exploring in a wing, as long as you are in the same system as the wing, you will share the data you have discovered. 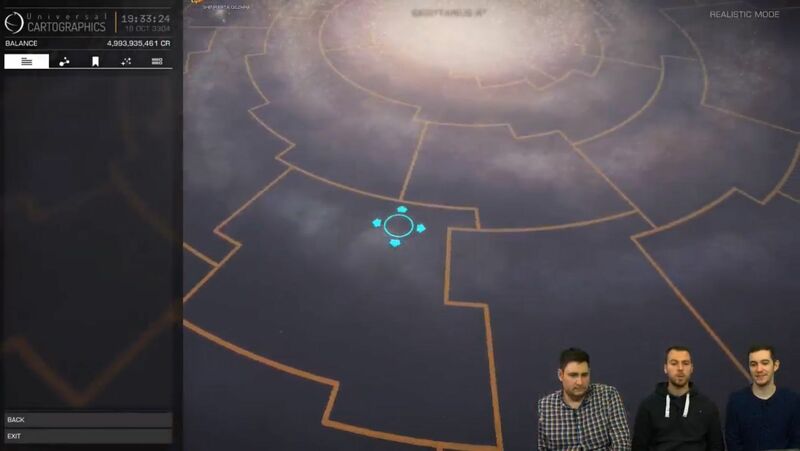 The Orrery view is a new way of looking at a map of the system. This schematic view will display the relationship of orbits and position of the planets. It is a 3D representation of the system with wireframe planets and it is a fascinating way of seeing how the star system you’re exploring works. The Codex is a new way to track your findings and progress in the Elite Dangerous galaxy, as well as keep up to date with the lore and learn about the latest news. Within each system, there are variety things for you to discover, such as stars, terrestrials and gas giants – and even more! Rumoured – If an item is listed as rumoured that means there is a possibility of finding it within that region. 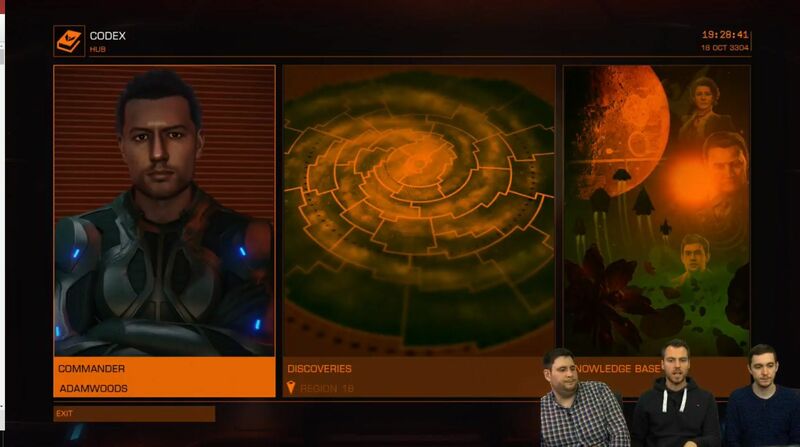 The Codex has been filled with ‘rumoured’ discoveries in each region to give you an initial breadcrumb trail to follow. If you’re hoping to be an intrepid explorer and find things that haven’t been discovered, you can – and set off that cycle of Rumoured, Reported, Discovered! 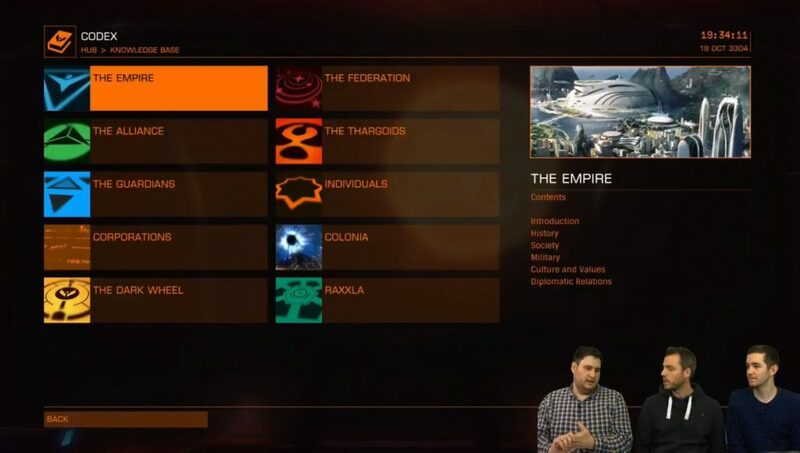 The 42 regions are huge, and there is a lot to be uncovered, the initial ‘rumoured’ items are just the very beginning in getting you exploring out in to the black. 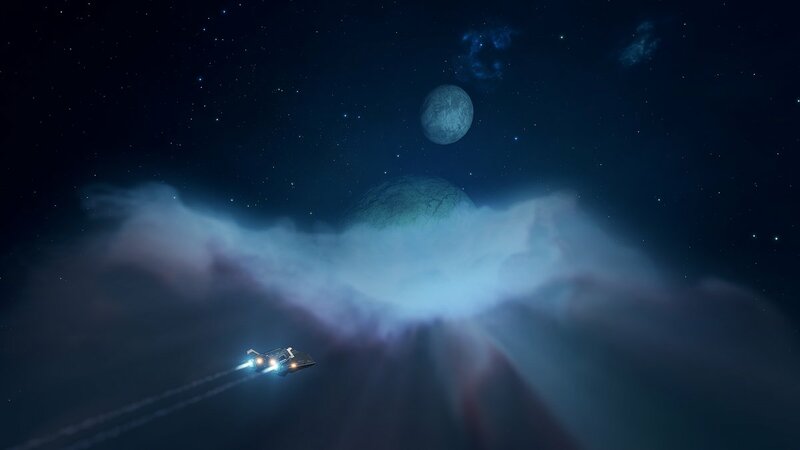 While you’re out there making incredible discoveries and earning credits you’ll be inspiring other explorers to follow in your wake! 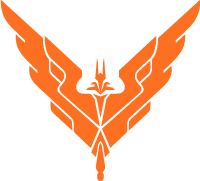 The Knowledgebase is your hub for brushing up on Elite Dangerous lore!It contains articles detailing the history of the Superpowers, key figures and characters, organisations and other key powers within the galaxy. 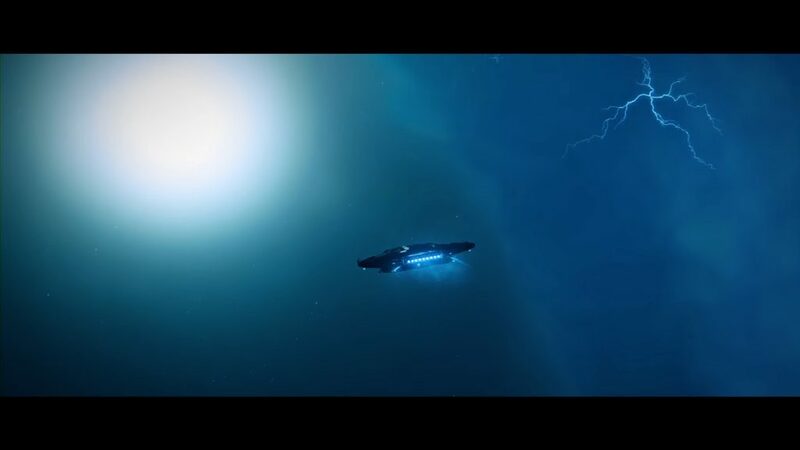 Due to the new in-game lighting system, Commanders will experience brighter stars, and darker deep-space. 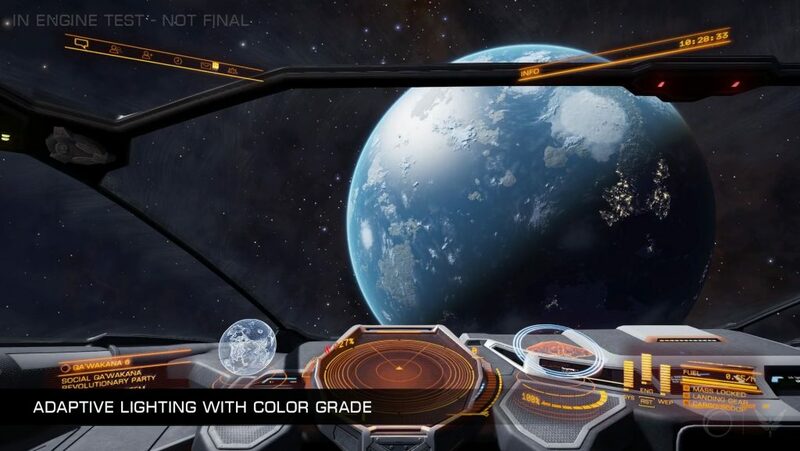 We’ve also added colour grading that supports the feel of our different locations in space and enhances the mood of the gameplay. 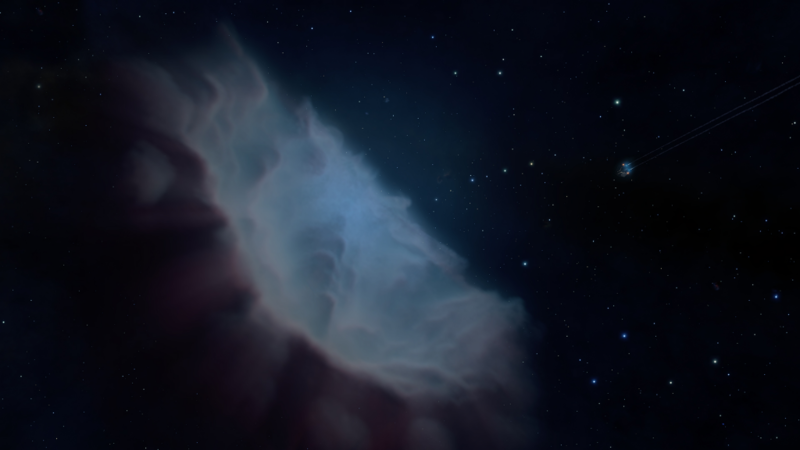 You can now explore through the new volumetric fog effects in rings with striking god rays, and experience light diffusion through the thick nebulous clouds. 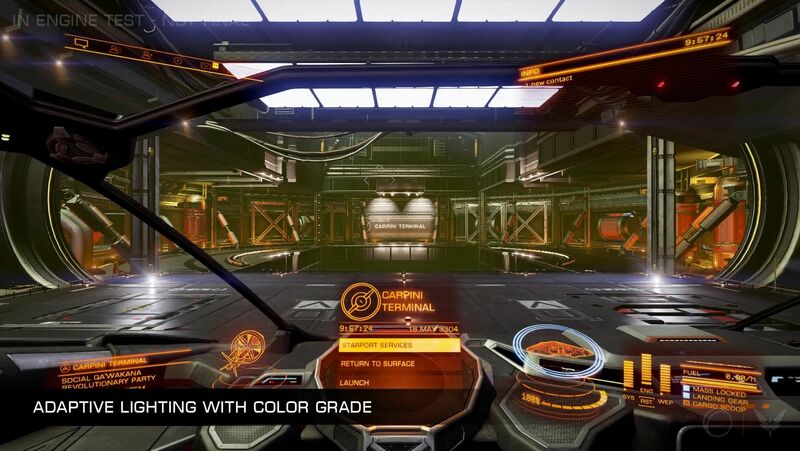 With a host of new scanning tools in exploration you’ll see plenty of new visual effects and an exciting new night vision pulse that will help you navigate on the dark sides of planets and in the darkest rings. A new streamlined layout and a few key changes will make navigating the cockpit interface and in-game menus easier than ever! Squadrons – The Squadrons tab has been added. Please tune in to our later livestream on Squadrons to learn more about this, November 1st, 7pm BST. Status – The new status tab now lists information on local system factions, your reputation with the super powers and the Power you are aligned with, a summary of your current session log, your financial information, and any permits you currently have access to.